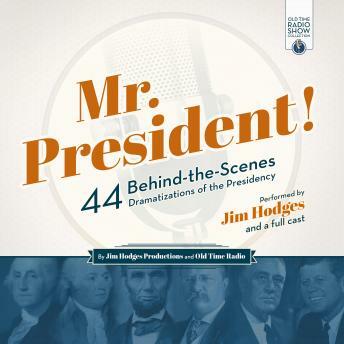 Enjoy nearly twenty-two hours of audio entertainment as Old Time Radio brings you forty-four behind-the-scenes dramatizations of presidential life. Which president liked to "lose" his protective service officers so he could take walks alone? Which president's life was actually threatened while in the White House? Which president challenged his military officers to improve their physical fitness by making a one-hundred-mile horseback ride in a day? Which president got a speeding ticket-for driving his horse and buggy too fast? Which president got into a fistfight with his director of Veterans Affairs over corruption charges? Listen to these fascinating Old Time Radio programs and you will know!